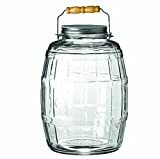 This is a 2.5 gallon glass jar, with a handle and lid. 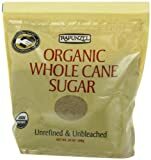 The jar is perfect for making vinegar, and the price is decent. Don't expect the lid to be airtight though, because it isn't, and the handle is not meant to be used when the jar is full. It can only be used when is empty. Otherwise, the jar is pretty sturdy, and it will not break easily.